Naturally Revitalize Your Skin with the Forever Young with PRP Facial + Microneedling Treatment at Tampa Bay Hair Restoration in Pinellas County, Florida. Achieve a healthier and younger-looking glow to your skin with the Forever Young with PRP facial rejuvenation treatment at Tampa Bay Hair Restoration. Forever Young with PRP is a non-surgical anti-aging treatment that combines 1) Microneedling with the application of 2) Platelet-Rich Plasma to improve the appearance of the face while only using organic materials naturally occurring within the body. The facial treatment works to repair damaged cells and tissues, stimulate natural collagen production, rejuvenate the tone and texture of skin, and reduce the various signs of aging mentioned below. Dr. Michael Markou, DO, at Tampa Bay Hair Restoration is a board-certified Doctor of Osteopathic Medicine who has undergone extensive training, education, and ongoing research in the many different uses of Platelet-Rich Plasma (PRP). As one of the leading doctors in regenerative medicine in Pinellas County, Dr. Markou was the very first physician in Florida to offer Stem Cell and PRP Therapy in 2009. 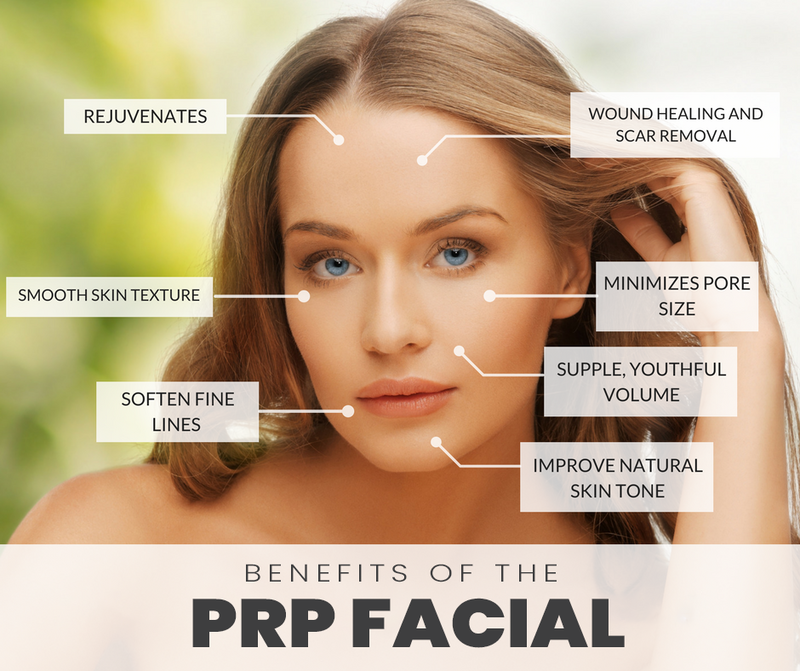 With over a decade of experience working with PRP in cellular regenerative medicine and cosmetic solutions, we proudly offer multiple treatments incorporating Platelet-Rich Plasma cells – including PRP Facial Rejuvenation, PRP Facelift, and PRP Hair Restoration. 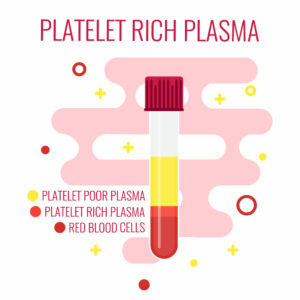 Platelet-Rich Plasma (PRP) is a form of blood plasma with a concentrated source of autologous platelets and intensely replenishing growth factors. The treatment has become increasingly popular in medicine over the past few years due to the well-known healing and repairing capabilities the growth factors have shown throughout many different areas of the body. PRP Therapy has shown to strongly aid in the healing process, stimulate cells that are dormant or have been damaged, enhance cellular regeneration, and promote new tissue growth. The Forever Young with PRP Facial is a simple, yet effective cosmetic procedure used to naturally improve skin from the outside-in. The anti-aging treatment is similar to the Vampire Facial®, but has been scientifically formulated and perfected by Dr. Markou and leading researchers for enhanced results. With the use of Platelet-Rich Plasma and Microneedling, the facial treatment offers a natural and therapeutic form of skin rejuvenation. When applied to the face, the PRP works to enhance the overall quality of skin by improving blood flow, increasing collagen and elastin production, and promoting new cell growth. Platelet-Rich Plasma is one of the more natural options available throughout medicine today, especially when compared to certain cosmetic surgeries. The facial rejuvenation features one of the shorter procedure times, only lasting up to 1 hour per session. 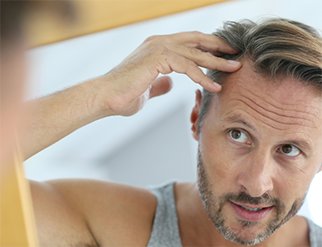 The Forever Young with PRP Facial at Tampa Bay Hair Restoration is a non-invasive procedure that does not require any scalpels or suturing. Although no anesthesia is required, a topical anesthetic will be used to ensure the most comfortable and relaxing experience for our patients. Most patients report little to no pain during and after the PRP + Microneedling Treatment. 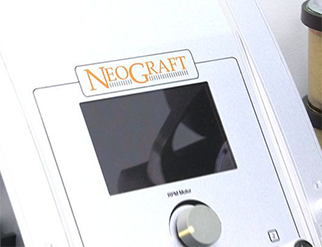 This offers a virtually pain-free experience to those looking to regenerate rather than operate. 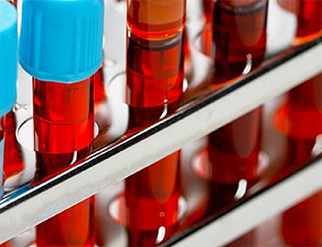 The Platelet-Rich Plasma is taken from the patient’s own blood with a simple blood draw. Just a small sample of blood is required to perform the procedure. Blood is derived of red and white blood cells, platelets, and plasma. The centrifuge, or machine that separates different densities within a liquid, will be used to separate the PRP from the rest of the blood product. Collagen Induction Therapy, or Microneedling, involves lightly puncturing the surface of the skin with an instrument that has very tiny needles. This helps rebuild the skin by further stimulating the production of collagen and elastin. PRP and collagen will then be applied directly to the skin. The PRP and collagen mask is absorbed through the skin to allow for deeper penetration and further cellular rejuvenation. Patients can expect softer, more youthful looking skin with the Forever Young with PRP Facial. 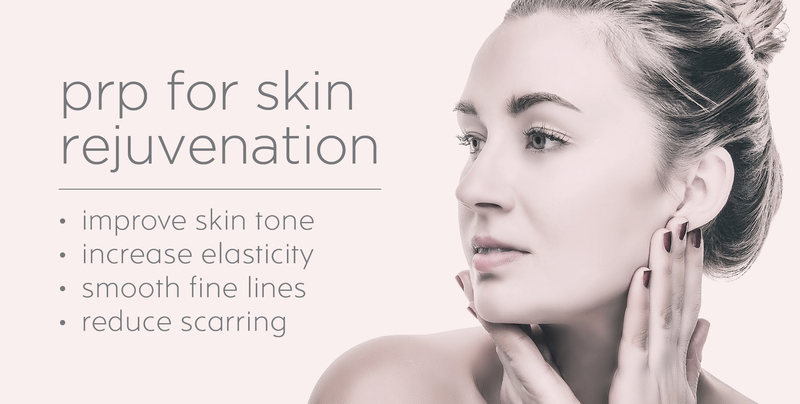 Due to the collagen regeneration, skin can also have a tightening and firming effect. 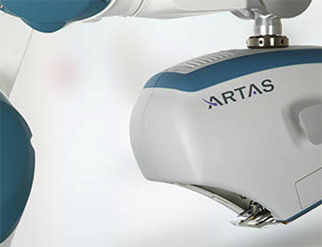 Patients may begin to see noticeable results as soon as three weeks, with full collagen regeneration in three months. PRP Facial results may last for several months to up to one year. Due to the more holistic nature of the PRP Facial, there is absolutely no downtime required to recover after the procedure has been completed. Patients are able to immediately drive to their next destination and return to their typical routine as usual. Since PRP Facial Rejuvenation is an autologous treatment that uses your body’s own naturally-occurring blood cells, there are also no major side effects that occur. Patients may experience a slight redness effect for a few hours after the procedure that should completely disappear by the end of the day. Dr. Markou has dedicated the past 25 years of his career to researching the latest advancements in regenerative medical advancements to offer only the best in results for his patients. He’s a Florida Delegate of the American Osteopathic Association, Board of Trustees Member of the Florida Osteopathic Medical Association, member of the American Academy of Anti-Aging Medicine, and more. In addition to cosmetic treatments and hair restoration, Dr. Markou also offers Platelet-Rich Plasma + Stem Cell Therapy to treat meniscus tears, sports injuries, chronic pain, osteoarthritis, and various orthopedic problems at his Medical Centers in Clearwater and Tarpon Springs, Florida. See Dr. Markou’s full list of accreditations and achievements. Tampa Bay Hair Restoration offers Platelet-Rich Plasma for facial rejuvenation and hair regeneration in Florida. While our physical location is in Clearwater, we happily serve patients all throughout the Tampa and Pinellas County area. We’re currently offering FREE initial consultations for the Forever Young with PRP Facial + Microneedling Treatment. Dr. Markou personally handles every consult and procedure. 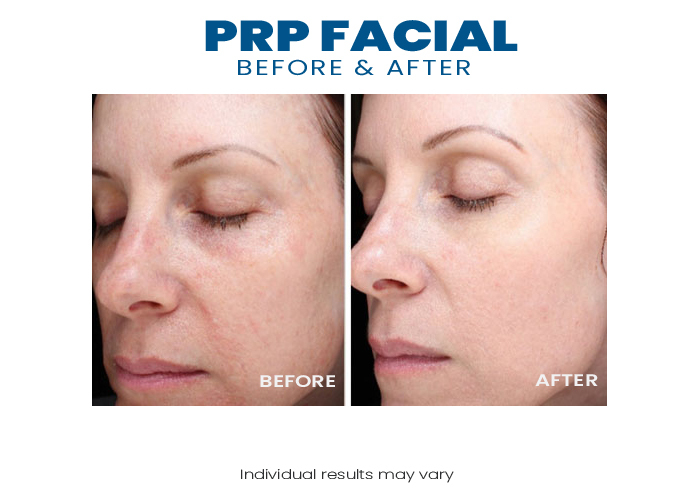 Schedule your PRP Facial consultation to receive a personalized treatment plan and start defying the odds of aging today. For more information or to schedule your free consultation for Forever Young with PRP Facial Rejuvenation, please contact us today by filling out the form below or giving us a call at (727) 446-0608. PROUDLY SERVING: Clearwater Beach, Tampa, St. Petersburg, Sarasota, Brandon, Tierra Verde, Madeira Beach, North Redington Beach, Seminole, Indian Shores, Largo, Belleair, Dunedin, Safety Harbor, Palm Harbor, Tarpon Springs, New Port Richey, Oldsmar, Land O’ Lakes, Odessa, Town N Country, Lakeland, Orlando, and the surrounding Florida areas!